Nothing is more important than family and friends. Having a support network is so important in our busy lives. I think having lost my mom so early in my life has heightened my appreciation for my support network because there is no way I would have gotten through her loss without them. We all know the friends & family that we can turn to if we need them... so in honor of them on Sisterhood/Friendship Day - August 1st, 1-800-Flowers would like to give one lucky reader the above Strawberry Floral Margarita arrangement! 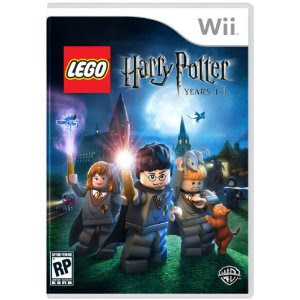 The giveaway will end August 6th, 2010 at 12am midnight pacific time and the winner will be drawn using random.org. Please be sure I have a way to reach you, through Twitter, Facebook or email address, especially if you don't check the site everyday. I reserve the right to pick another winner if I am not able to get ahold of the winner within a reasonable amount of time. It's easy to enter... just leave a comment saying who in your life is a part your support network and why (you don't have to be super specific, generalizations are fine!). Looking for a fun adventure this weekend? 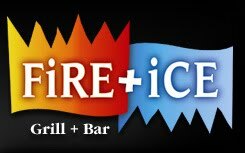 Head on over to the FiRE + iCE restaurant at the Garden Walk in Anaheim. They are celebrating their one year anniversary (July 31st) with a huge birthday bash at the restaurant (all ages are welcome). Festivities begin at 11 am. There will be cupcakes, food, live music, face painting, drink specials and even a raffle to win a Patio Party at FiRE + iCE (valued at $675 and is for approx. 25 people). Already a fan of FiRE + iCE? Be sure to participate in their Create An Ad contest here. Have a Slurpee fan in your house? Also have a WWE fan in your house? Well, if you answered yes to those questions... I've got the deal for you! 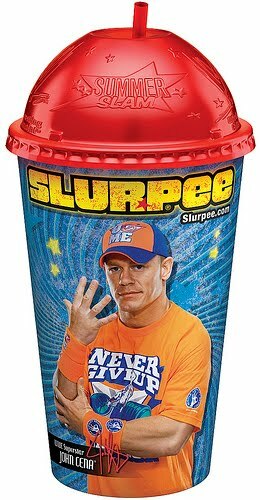 Head on down to your local 7-Eleven and pick-up one of the limited edition collectible Cup With a Cause (benefiting the Make-A-Wish Foundation) available with purchase of a Big Gulp or Slurpee now through August 31st. Don't forget the upcoming WWE SummerSlam at the Staples Center on August 15th! 7-Eleven will also be giving away free tickets to the event so be sure to follow @7ElevenSoCal for more information! 7-Eleven has guaranteed a minimum donation of $250,000 to the Make-A-Wish Foundation in conjunction with this campaign. I've always loved miniature and small scale replicas. The above is on display outside the President Lincoln show at Disneyland. Do you have a Netflix account? We've had an account for awhile but had recently been frustrated because we never seemed to have the movie on hand we really wanted to watch. About a month ago we decided to try out the streaming movies through the (built-in) Wi-Fi on our Nintendo Wii, then we also tried using the built-in WiFi on the PS3. 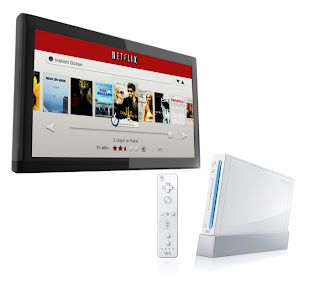 For those who just have the older versions of the Xbox 360, you can buy the wireless WiFi card, it's just not built in the same way as with the Wii and the PS3. The brand new Xbox does have built-in WiFi. 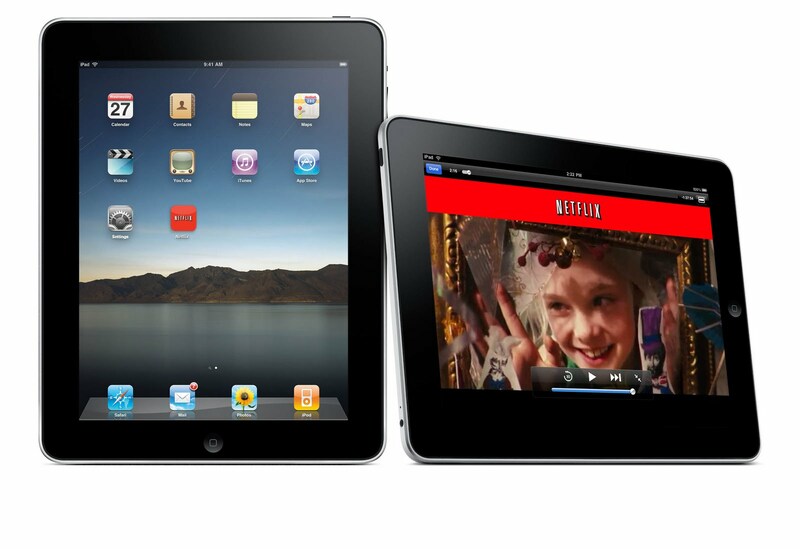 And yup, you guessed it, you can even stream on to the Apple iPad! It was super easy to set up, we just had to order the special DVD from Netflix (at least a couple days before you plan on using it so that it has time to arrive in your mail). The disk itself is free and only takes a couple minutes to set up, you certainly don't have to be tech-savvy to do it. The menus are easy to navigate and the only drawback that I see is that there aren't nearly as many movies available to stream as watch by mail, but the selection is still impressive and the video quality is fantastic. But we've certainly been enjoying it and I get a good laugh in every time I log in to the Netflix account and all my recommendations are filled with old school Super Mario cartoons (the kids love watching them on streaming Netflix). Have you tried streaming Netflix? Are you or someone you know expecting a new addition to your family? I'm so excited to share the following wonderful guest post from Shawn A. Tassone, M.D. author of “Hands Off My Belly! The Pregnant Woman’s Guide to Surviving Myths, Mothers, and Moods” – Mom’s Choice Gold Recipient and Arizona Book Publisher’s Glyph Award Winner. So much mysticism and mythology surrounds the pregnancy due date. Much of the mysticism is held by physicians who hold on to the old ways of determining when a pregnant woman will deliver. Believe me, most physicians would love a way to determine the due date so we could plan our lives around the deliveries of our patients, but the truth is only 1-2% of women will actually deliver on their due date. So what determines a due date, and what is the difference between EDC (estimated date of confinement) and EDD (estimated date of delivery) and what the heck is Naegele’s Rule. This post will help show the origins of the due date and how we are currently using a system that is about 250 years old. Franz Karl Naegele (1778-1851) was the German obstetrician who initially came up with the rule to determine a woman’s due date based on her last menstrual period (LMP). There are many ways to calculate Naegele’s Rule. I use the system where you take the LMP, add 7 days, and subtract three months. So if your LMP was April 1, 2009 then your due date would be January 8, 2010. You can impress your friends at parties with this maneuver. There are problems with Naegele’s Rule and many people have pointed out that this 250 year old method is no longer appropriate for our advanced age. What are some of the potential errors with calculating the EDC in this method? It assumes that you are having a regular period and that you ovulate on day 14 of your cycle. I am a gynecologist and there are many women out there that have irregular cycles that ovulate on day 20, 25, 12, 15….you get my point. This obviously would add potential error to the EDC determination and could change things by days to weeks. There is another assumption that the routine pregnancy is 280 days long and that is based on our current calendar system. The problem with this is that there are many months that contain 30 days or 31 days and what happens in a leap year, or if you are not pregnant over the shorter month of February. The point is that there is a movement out there that is trying to say that the number should be 288 days and that we are inducing women that have premature babies. A study done in 1990 stated that the proper method for determining a due date was to take the LMP, count back three months and add fifteen days for a primiparous (first pregnancy) woman or 10 days for a multiparous (subsequent births) woman. This was published in the journal Obstetrics and Gynecology. There are many that argue this method of calculating the EDC is as archaic as the term EDC itself. Lending to the agrarian societies from whence it came, the EDC literally came from the fact that a woman was confined to her bed for the last part of her pregnancy to prevent preterm labor. While we still prescribe bedrest today as a possible therapy for preterm labor it does seem odd that the medical establishment uses terminology from the 1700’s. The due date is as individual as the pregnant mother. While the EDC is currently calculated by Naegele’s Rule this does seem a bit archaic and inefficient; especially if we are using this dating method to determine inductions and postdatism. There have been other methods with increased accuracy but they require a woman to measure body temperatures and be move involved in her own self-care. Many reading this article are very involved with birth and feel as though self-care is very important, but there are many women out there that simply choose not to be observant of their own cycle. So, what do we “do” with the “due”. Unfortunately, I think we will keep going with the current system and back it up with ultrasounds which are accurate within 5 days if done in the first trimester. Approximately 3% of so-called term births (occuring after 37 weeks) are completed with fetal lung immaturity and this could be because the baby may have been between 35-37 weeks and not term. Are we too involved in the birthing process? Are there better ways to determine the pregnant due date or should we not worry about and just let man/woman be born in his own time. The latin word natura gives rise to the word natural and means “to be born”. Maybe we should just leave well enough alone. Hands Off My Belly! The Pregnant Woman’s Survival Guide to Myths, Mothers, and Moods is for sale on Amazon and Barnes and Noble and at most brick and mortar stores. Okay... so I burn through purses like there is no tomorrow. I'd love to go back to having the ultra fancy purses... but I've come to terms with the fact that until the kids are older, my fate is sealed. There is a limited edition Dooney & Bourke Mickey Mouse/Disneyland purse that I have been eying at the Disneyland stores. But the other day as I was eying it... I saw the above purse on one of the racks. I WAS FLOORED. It is cute (definitely a different style than Dooney & Bourke, but still way cute). But the absolute best part is the purse pictured above is only $25 (with passholder discount). Um... talk about deal of the century. They have a number of styles, the above just happens to be the purse I bought. So... if this purse only lasts me a couple of months I am totally cool with that, but I've had it for a couple weeks and it is holding up great. Now... if I get let's say 50 comments on this post... I might just have to go buy one to do a giveaway on here... :) Convince me to do a giveaway guys! Lots of local businesses are doing recession busting deals and your local zpizza is no exception! When I found out that our local zpizza (located in Ladera Ranch, CA) is doing a buy one, get the second 50% off (Sundays through Thursdays), I knew I had to share. Since each zpizza is independently owned and operated, each location will be having different deals. For example, the zpizza in Aliso Viejo is offering 50% off of the x-large pizza on Tuesdays. Call your local zpizza to find out what recession busting deals they are running! Also, if you sign up for the e-newsletter, they will email you a $5 off coupon! Talk about a way to save money when buying pizza for the family! I became a huge fan of zpizza years ago (when I first moved to Southern California). The whole wheat pizza crust is a favorite of mine. Another thing I love about zpizza is the standard cheese is non fat (you can also order great soy cheese). Zpizza is definitely the place to order from when you are craving pizza... but don't want the guilt. They also have an amazing assortment of gourmet style toppings as well as super delicious side salads. The gluten free pizza is also a great choice for people with allergies. Pesto sauce with fresh sliced tomato pizza is one of my favorites, but the zbq is a very close second (pictured above)... What's yours? There are zpizza locations everywhere these days, but if you don't know where your local one is you can go here. -Webkinz Plush Horse Giveaway (Children 12 & under only at admission gates)Kids will love this adorable 9" tall Webkinz Plush Horse. 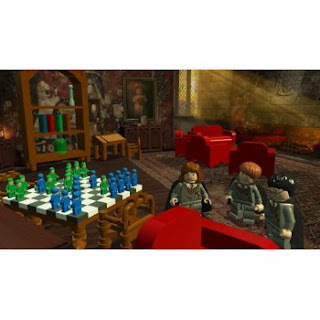 The attached secret code allows kids entrance into the Webkinz.com on-line virtual world where they can bring their horse to life with games and activities. Do not miss this unique giveaway, FREE for children 12 & under. Retail value $13.00. For more information (directions, costs, schedules, etc.) 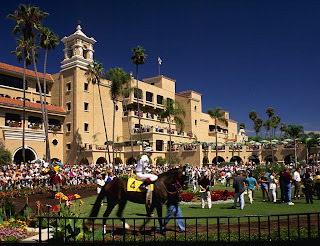 about Del Mar you can head here or for more information about Family Fun Day you can go here. I'm always on the lookout for ways to sneak as many nutritionally packed foods in to my kids diet as possible. The other day I found this package of Garden Rotini at Fresh & Easy. For about $1.50 a package (certainly enough to feed a family of four) I thought it was a great deal. Just check out the nutritional content (vitamins)! Just another reason I love shopping at Fresh & Easy. 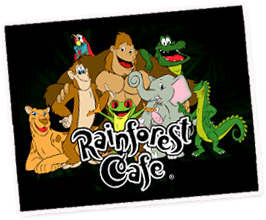 Don't forget that tonight (Wednesday) is Family Night at Rainforest Cafe! Kids eat for $2.99 (with the purchase of an adult meal) from 5 pm 'till close. They've got some great new additions to the menu that we tested out last weekend! To find our nearest location go here. Punch bug (aka slug bug or Punch Dub) has recently made a come back in our house. It's a never ending and mostly friendly competition between my boys. We had a signing of a peace treaty a few weeks ago where it was unanimously agreed that we would remove the actually punching and replaced with either a tap or just a simple declaration of points. My boys being the creative little guys they are have drastically increased the included vehicles from the Volkswagen to include such vehicles as the Jeepy (which includes all Jeeps), the Hondy (any model Honda), the Toyoty (all Toyotas), the Chevy and the squarey (which is the most general term and includes Scions, Elements and other box shaped cars). Much to my shock we are now recognizing "white ones", "red ones", "silver ones", "gold ones", "blue ones" and many more. I'm sure you're probably wondering at this point what vehicle doesn't fit in... and yeah... basically all vehicles do. It's a chorus of vehicle calling from the back seat. Let's not forget the RV'y and the Ultra super dang trucky. Yes driving by truck stops and RV dealerships gets pretty funny. But then the other day we were driving north on the Interstate 405 (about in the Carson area) and the boys started busting up in giggles and yelling SLUG BUG. The billboard has a picture of a Volkswagen Beetle and simply says... "This is for those of you playing the slug bug game". Seriously, that is one of the best billboards ever! Have you seen it? I am so excited about this special event and I hope you can all join me! Tide with Acti-Lift is asking Orange County families to Get Messy with a special screening of “Ramona and Beezus”. It is an exclusive screening for Daytrippingmom readers. I will be hosting the event and would love love to meet you and your families. The screening of Ramona and Beezus will take place on Saturday, July 24th at the Century Stadium 25 Theaters in Orange. 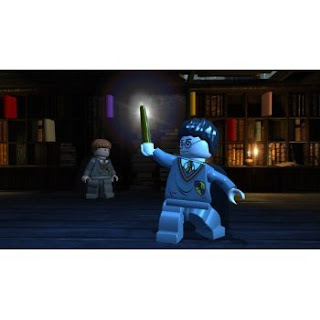 In addition to the special screening there will be fun activities for the entire family between 10am to 6pm. Some of the featured activities include, a chance for kiddos to add their creative touch to a community mural, inspired by a similar mural in the film, Free t-shirts to wear while painting and take home after, Pictures with props from the movie, Demos of Tide with Acti-Lift technology and Tide with Acti-Lift samples (while supplies last). If you can't make it to the movie, make sure to stop by and participate. It is going to be messy fun! Throughout the weekend of the July 24th and July 30th Tide with Acti-Lift is encouraging all families to paint a community mural inspired by the one in the film. All you have to do for your reserved VIP passes is log onto, http://cinemedia.regsvc.com/T57, reserve your tickets and you will be set for a fun filled morning complements of Tide with Acti-Lift. Mural painting happens between 10am and 6pm. Please stop on by to participate! 25 1701 W. Katella Ave. Remember that you have only 48 hours to reserve your passes! I can't wait to see you all there! Have you ever noticed how difficult it can be to remove stubborn, dry stains? If only dry stains could be lifted with ease, your favorite outfits would be free from tough stains and your laundry routine a bit simpler. 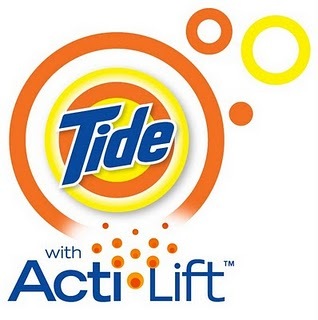 Tide® with Acti-Lift™ technology, is designed to soften and break up dry stains, lifting them off with ease. Tide with Acti-Lift allows you and your family to wear what you love, without the worry of tough stains. *This post is part of a compensated campaign with Tide. There are days that my kids have me just busting up laughing with their one liners. Yesterday was the perfect example. The boys were in the back seat explaining to my husband how funny the movie Despicable Me was. I nonchalantly turned to my husband and said, "Yeah, you really will laugh." From the back seat I immediately heard, "NO MOM, it is Laugh Out Loud funny, geez." It was priceless. I was of the generation before emoticons, LOL, ROTFLMAO, LMAO, etc. Heck, it is my generation that created those! Now I'm being lectured about using the proper social networking terms by my 6 year old! How did he even know? What are some of your favorite new terms that have come about through social networking? I must admit I use the :) and the ;) far too often. But I've recently become a fan of 8:o) Can anyone guess what it is? I've gone on and on about how much I LOVE the Dermalogica product line here... so I think you'll understand why I'm so excited to do another Dermalogica giveaway! This time we are giving away the gift set from the brand new Ultra Calming line (link to the info about the gift set we are giving away is here). 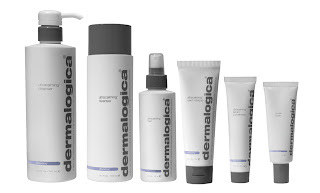 Note: The above image is of the whole product line... not the gift set we are giving away. Get creative with your comments and have fun! Mandatory first entry: Go here and figure out which product you are most excited to try and be sure to come back to say why in a comment! •Bonus entries (allowed once each day until giveaway ends) - come up with a rhyme, cute phrase or other poem as to why you want to win! •Bonus Bonus entries... suggest 5 of your friends on Facebook become fans/like OCMomActivities (you get 5 bonus entries for every 5 friends you recommend!). Be sure to come back here and post a comment saying you did for it to count! The giveaway ends on July 30th, 2010 at 12 midnight pacific time and a winner will be chosen at random using random.org and is only open to US residents. Can a tube of toothpaste really whiten your teeth? When I bought a tube of Crest 3D White Vivid at Target last week, I can tell you the last thing on my mind was writing a blog post about it! I'm really tough on my teeth. I admit it. I LOVE Mochas and the occasional glass of a good red wine, neither of which are a positive influence on the color of my teeth. I've been pretty lucky with my teeth, but always planned on going in to the dentist to get the professional tooth whitening to make them super bright. I just haven't gotten around to it, life's been kinda hectic. So I figured I'd try a tube of the new Crest 3D White Vivid toothpaste and see if it made my teeth brighter. By night two I was taking double takes in the mirror after brushing my teeth. I really thought I was imagining things... my teeth seemed whiter! By night three I knew I wasn't really imagining it. And by night four it was obvious - my teeth were really brightening up. Don't get me wrong... it's not the instant shocking white that you'd get from the treatments at the Dentist, but for the cost of a tube of toothpaste it's a fantastic short term solution. If you are like me and have been wondering if those toothpastes really do make a difference... you heard it here first - it did for me! So at the first crack of thunder this afternoon in Ladera Ranch... the kids and I grabbed snacks and headed out on to the covered patio to watch and listen to the thunder and lightening storm. Having grown up in Northern California, thunder storms are pretty rare (maybe one or two a year), so whenever there is one... I'm booking it to a vantage point. Always been that way... most likely always will. I've never understood the people that are so scared of thunder and lightening that they hide in a non-window bathroom. What do you do during thunder and lightening storms? Do you run and hide or grab a chair and watch? Last weekend we were invited to head up to Hurricane Harbor - Six Flags to experience Mootopia first hand. Mootopia is the new campaign by Got Milk? 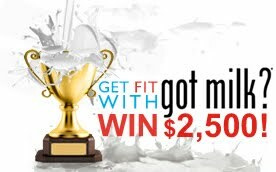 Aimed at reminding people how improving your health can be as simple as drinking milk (instead of things like soda). So what is Mootopia? At a number of locations throughout California you can stop in and experience the Mootopian awareness for yourself. At the Hurricane Harbor location you can stop in for FREE massages (the reactions of people were priceless when they asked how much the massages were), free milk, shade, and misting fans. Other stations consist of hair and manicure stations, free smoothies, free t-shirts and other fun items. For more information about Mootopia and the locations you can go here. (you can read my posts about it here and here). teach the children to love the planet and they will protect it." Hearing him say that in person at the launch event for the Ambassadors of the Environment program at the Ritz Carlton in Laguna Niguel echoed a sentiment I have felt for many years. As an ocean loving Mom, you've probably noticed I have a tremendous amount of posts that relate to the ocean or nature in some way. I always find myself heading to the beach when I need to just relax from a crazy day (or week or month!). Teaching my kids to love the ocean is very important to me. I am so excited to hear and share information about some of the AMAZING programs that are being offered at the Ritz Carlton in Laguna Niguel, CA. The Ritz Carlton is partnering with the Ocean Futures Society to bring these amazing programs to Orange County. You don't have to be a guest at the hotel to register for them. Everything from sustainable gardening, snorkeling in the nearby kelp forest (Ever seen the murky water off Dana Point? I had never realized THAT is actually a kelp forest! ), organic cooking, underwater photography, tide pooling, boogie boarding, whale watching and much much more. 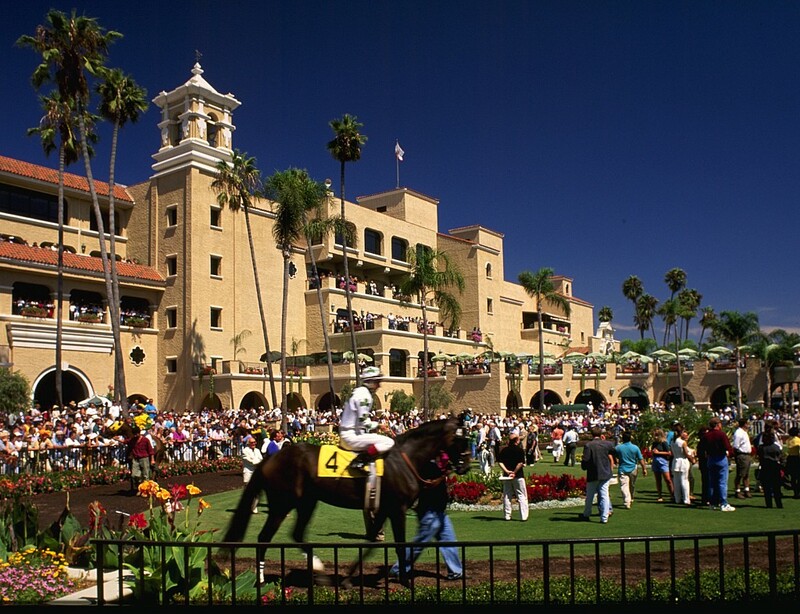 The programs are very reasonably priced and with the world renowned hospitality of the Ritz Carlton, you know your kids will have an amazing time! Go here for more information about these amazing programs. Looking for a fun way to spend a Friday night with the family? Every third Friday of the month during the summer, the Hyatt Regency in Huntington Beach is hosting a family concert series. K-Earth is there broadcasting and providing the entertainment. Pull up a deck chair, order a plate of nachos and have a great evening watching the sunset across the water! The even itself is free (including swimming! ), but you have to order nachos, drinks, etc. We had the chance to check out last month's event and here are a couple pictures from our fun night. We had a great a time! If you're in the area this Friday, be sure to head on over! Be sure to grab a jacket in case the winds kick up at sunset. For more information about the events go here. 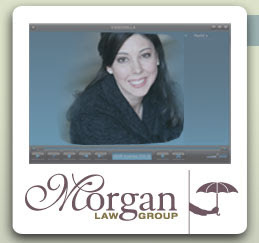 Do you have a legal plan for your kids if something were to happen to you and your spouse? If that is one of those things you have been putting off... there isn't a better time than now to address that. It's one of those things that if you wait until you "really" need it... it's already too late. Make the time to attend one of these upcoming FREE workshops here in Orange County (there is also a teleconference if you have logistic issues!) by Darlynn Morgan of Morgan Law Group. The seminars are kid friendly and believe me... she's thought of everything to make it as easy and fun as possible. 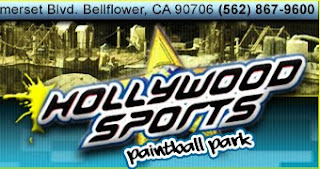 Registration is required so go online to www.kidsprotectionworkshop.com or call 949-260-1400. She is also offering a teleseminar for parents who can’t make it to the events. 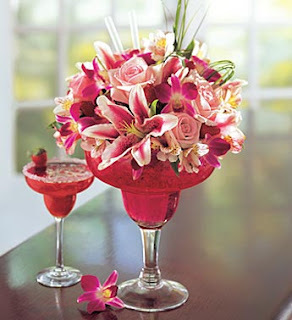 The teleseminar will be held on Thursday, July 15th 8pm-9pm PST, from the comfort of your own home. Registration is still required to get the call-in details. Register online here. Looking for a fun family activity this Saturday (July 10th)? 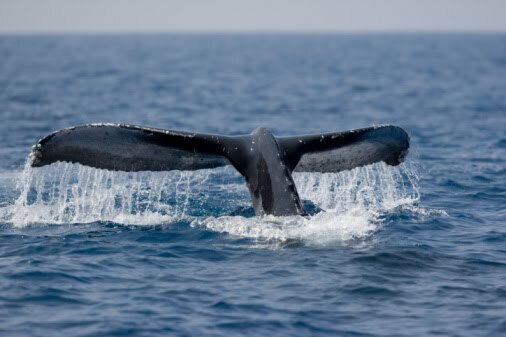 Head on over to Huntington Beach from 9 a.m. - Noon for a beach clean-up. It's a great way to teach kids to be more responsible about their trash, especially while at the beach. Beach clean-ups were one of my favorite activities as a kid! Meet where Beach Blvd meets the sand, and help us keep trash off of our beach and out of our ocean. Pull into parking area at Magnolia and drive towards Beach Blvd until you see blue canopy in the sand. As always, we provide parking passes, garbage bags, protective gloves (AND certificates for school credit). Please bring a light jacket - could be 55 to 80 degrees depending upon weather. Please bring your own sunscreen, work/garden gloves, reusable water bottles and trash grabbers so we don't create more trash. So you may have noticed the nice green box over on the right hand side of the site (below the Facebook Fan Page box), recently Screamin' Coupons contacted me asking if I'd like to advertise local deals to my readers. I was pretty skeptical at first but after looking in to it I realized they are AMAZING local deals (you normally have to act fast before they disappear!) and I knew when I wanted to take advantage of the deals... you would too! 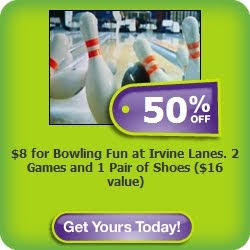 For example take a look at today's deal at the Irvine Lanes... you can't beat it! So be sure to check back daily to see what local deals (like massages, facials, surf lessons and dinners) you can find! Strawberry Shortcake- the dessert not the character. After what felt like an eternity, I finally convinced the boys that when I said we would be having Strawberry Shortcake for dessert.... I did not mean the character. The above was our 4th of July dessert. So here's my dilemma and I figured I'd ask all your help to give me advice! Tell me what you drive, do you love it? Hate it? Or what do you WISH you drove and why? Help me out guys! What's your advice? Congratulations again... your skin care set is on its way to you! It sure seems like everyone around me is having babies! The downside to that is I'm getting a real feel for what my "gift" style is! Since I can't pull out gorgeous clothes out of my collection (*ahem* just a little envious here of Momfluential! ), I'm not really the type to give baby clothes at baby showers unless the Mom to be specifically mentions it (which I have seen a couple times this season). I tend to be the item giving type and I like to make it something that borders on unique (to get the cool/memorable factor in) yet highly functional. In the past I've given baby wearing slings because both my boys practically lived in them for their first year. Recently I met the creators of Lulyboo and instantly knew that was going to become my standard new mom gift! Talk about versatile! 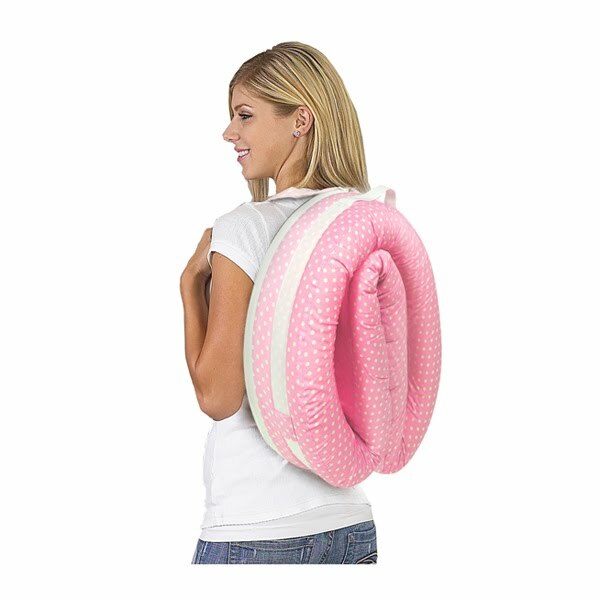 It's an easily portable (folds up in to a little backpack) infant lounge. It is FANTASTIC for the busy mom on the go. It gives the baby its own familiar and safe place to take naps whether you are at a hotel, at the park, at daycare, at the beach, at grandparents house or just over at a friends house (trying to maintain a social life with a new baby!). If I have a third child I could definitely see this being one of my most treasured baby items, right up there with the baby sling. You can buy the LulyBoo here at ToysRus or at Bergstroms if you are in SoCal. Or become a fan on Facebook for specials (including more unique & fun pattern). 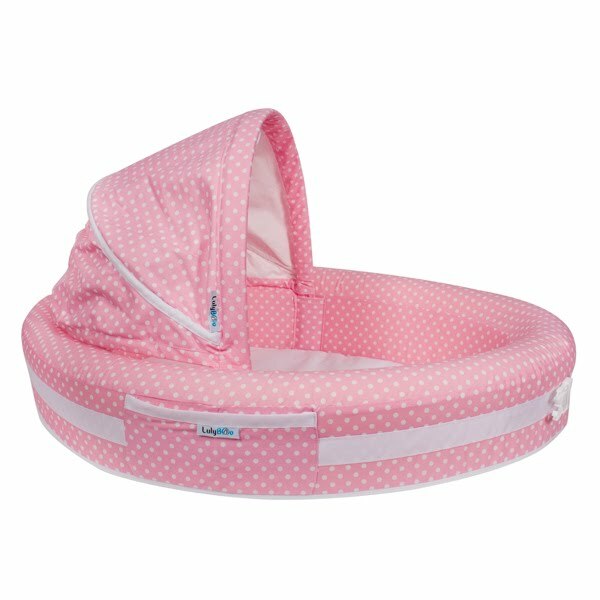 You can also find out more about LulyBoo and their other products here.